Now we begin the final term of the academic year 2018-19. Another year at Cockburn School. Another period of new learning, challenges and experiences that will shape the future of our students, parents/carers and staff. Nelson Mandela said that: “Education is the most powerful weapon which you can use to change the world.” I am confident that the school’s ‘Learning for Life’ motto fits well with this and I believe that every Cockburn student has the potential to do just that. We were extremely pleased with last summer’s examination series results. Our students achieved excellent grades that saw them into the next stage of their education and that rewarded them for their resilience and everyone involved felt very proud of this. This academic year the staff and students at Cockburn will continue to focus on Growth Mindset. People with a Fixed Mindset believe that their traits are just givens; they have a certain amount of brains and talent and nothing can change that. People with a Growth Mindset see their qualities as things that can be developed through their dedication and effort. They understand that no one has ever accomplished great things without passionate practice and learning. So, with our belief in ‘Transformation to Excellence’ where we strive to make improvements in everything that we do, for our students, for our school community, and for our staff, we have to strengthen our Growth Mindset in order to move forward and be as successful as we can be. On the 1st February 2016 Cockburn School converted to Academy status. The school is still known as Cockburn School and overall very little has changed. There are a number of educational benefits as our Academy is able to devise our own curriculum to best meet the needs of our children and is also able to be more selective about the educational initiatives with which we are involved. Funding is allocated to the Academy rather than to the Local Authority first. This means that the Academy is better placed to allocate resources to meet the needs of our children. It was a huge privilege in 2017 to be recognised as a National Leader of Education. Cockburn School’s designation as a National Support School was an acknowledgement of the work our determined team of staff do in supporting schools across the region. Through engaging in this national support programme, we will continue to positively influence the lives of children both within and beyond our school, by supporting other leadership teams to improve outcomes for them. It’s about working in the spirit of partnership. The new Cockburn John Charles Academy officially opened in south Leeds in April 2018 and the Cockburn Multi-academy Trust continues to focus on providing the very best education to the children of south Leeds. Our growing reputation as a school that provides an exceptional level of service in first class facilities has led to an increasing number of parents applying for their child to join us. The last academic year saw our highest number of applications with over 750 students applying for just 240 places (with 352 first choices). An excellent transition programme is strengthened by collaboration with our partner feeder schools and beyond, ensuring that new students are ready for the challenges of high school life. I am glad that our new Year 7 students who started in September have settled in extremely well. I am proud to be Executive Headteacher of Cockburn School and to share with you our successes and the pride we have in our school and our students. Cockburn School provides an excellent environment for children to develop as learners and to grow as individuals. In a world which places ever greater demands on young people, it is vitally important that the schools of the 21st Century provide a broad and rich education to prepare students for the challenges they will face in their lives. We are dedicated to blending academic excellence with a richness of opportunity beyond the classroom. High standards of teaching combine with opportunities for independent study to create an intellectual curiosity in our students that stays with them for life. A diverse and rigorous curriculum means we are constantly able to drive students to fulfill, or exceed, their academic and intellectual potential. To support our vision we emphasise the importance of promoting, celebrating and recognising achievement in all its many forms. We believe in the concept of partnership, working together with parents, governors and the community to ensure that every student fully participates in school life – supporting the school in its vision of offering the very best in educational opportunities. Learning and working at Cockburn School is exciting and challenging. Students develop the knowledge and key skills which are needed in preparation for adult life. We have a committed team of teachers and support staff who go the extra mile for students and work with them to demonstrate the Values and Expectations of the school. The enormous range of extra-curricular activities ensures that each student can grow and develop wherever their interests and talents may lie. The school has an outstanding reputation for the Performing Arts. The many educational trips, visits, tours and work in the community give further evidence of the breadth of our curriculum. With so much on offer, Cockburn students are sure to find their strengths and skills. 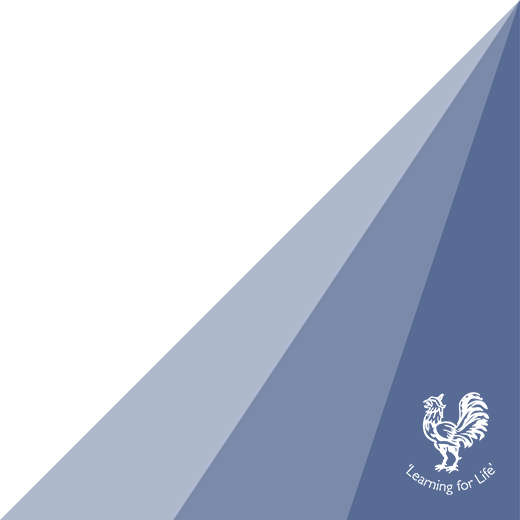 Cockburn has developed its own teaching and learning model, the Learning Cycle, which is used to plan all lessons throughout the school. We continue to increase our thinking around teaching and learning and staff work hard to develop innovative approaches to lesson delivery. Our staff embrace continual professional development. Our vision of ‘Transformation to Excellence’ focuses on a relentless drive to continue to improve and excel in all areas. Cockburn’s five year development plan has been structured to provide the outcomes of the school, based on thorough evaluation and review, which includes regular observations of all teachers, and surveys of staff, students and parents. This is supported by an analysis of the performance of students in all years and the progress they make alongside comparisons against local and national performance. It is all of this information which is used to determine our focus for the long term future and the current academic year. I look forward to another excellent term at Cockburn and to leading such an exciting community of students, parents/carers, governors and staff.